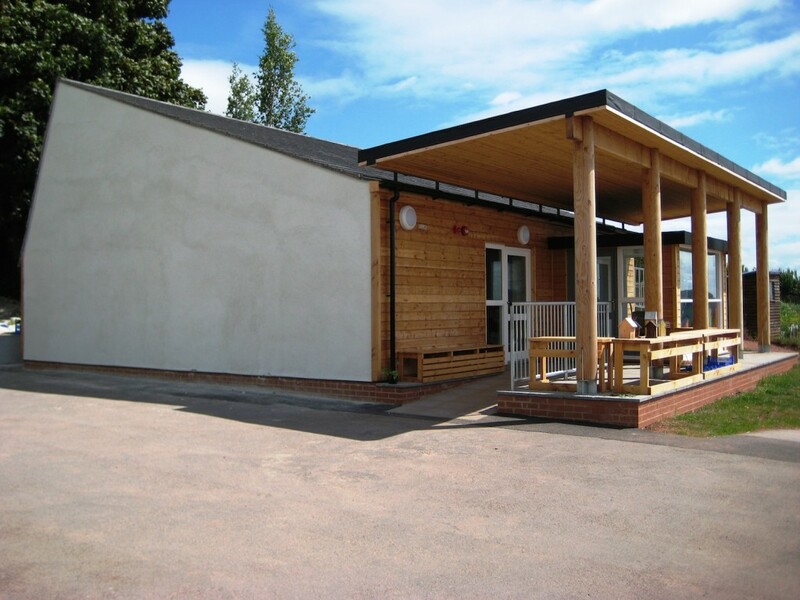 This stand-alone eco-classroom for a village primary school was designed to be an affordable replacement for a portable classroom, but which also delivered an extremely low carbon footprint. 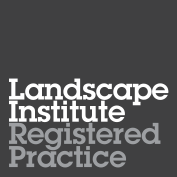 The use of good environmental principles and the application of eco-minimalism ensured that the resulting classroom fulfilled the challenging brief. The inclusion of high levels of insulation, thermal mass and excellent daylighting, mean the energy demands of this building are low, eliminating the need for renewable energy. 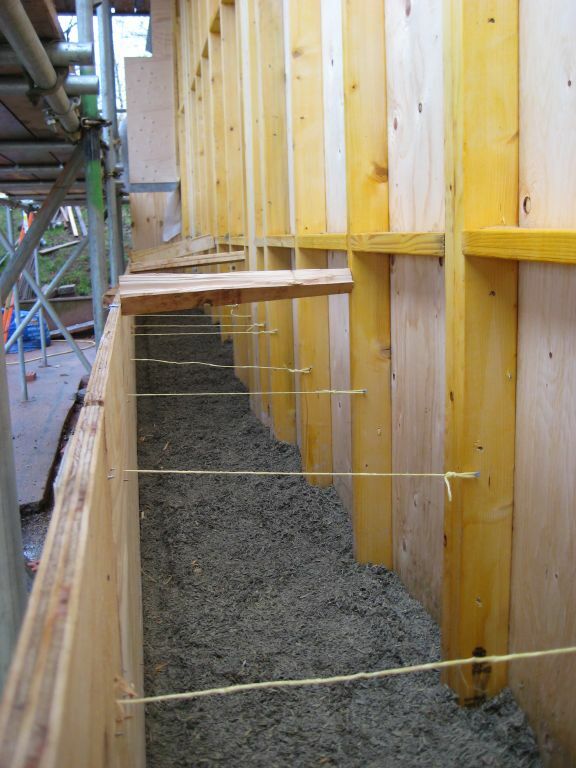 Walls are constructed using a combination of Hemcrete (hemp fibres combined with lime) and timber framing which provides a structure with carbon sequestration. 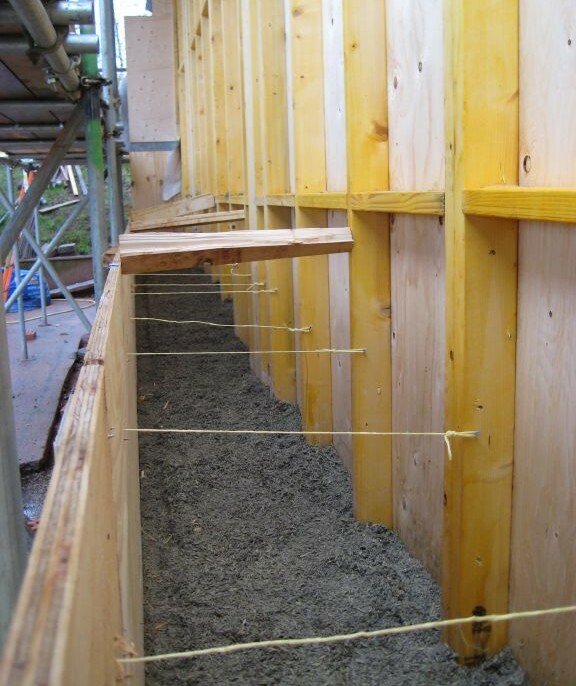 The dense Hemcrete offers good acoustic insulation and is moisture permeable, contributing benefits in addition to thermal mass. The roof shape is guided by solar design principles, and gives acoustic benefits within the room by avoiding flutter echoes. 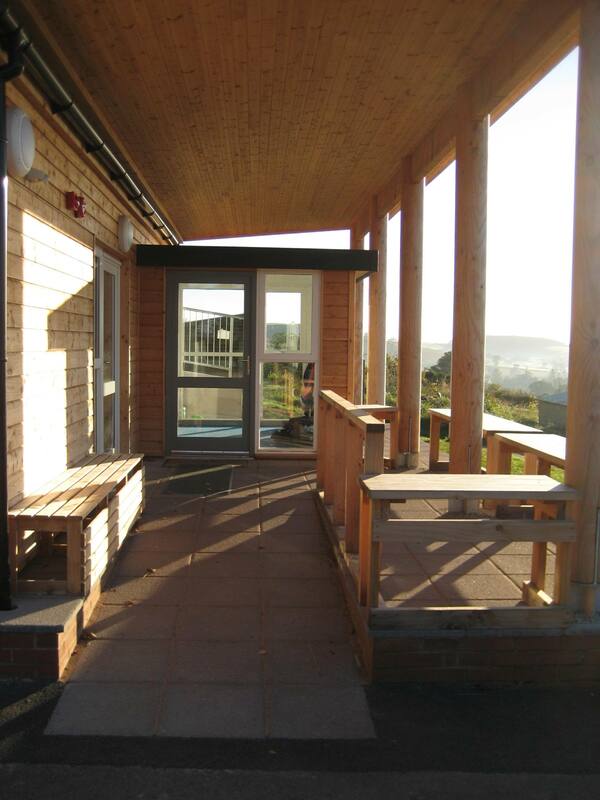 The steep north facing roof lights provide exceptionally good daylight throughout the classroom while avoiding solar overheating and glare on the whiteboard. The south-facing roof provides a platform for the future installation of photovoltaics for the whole school. 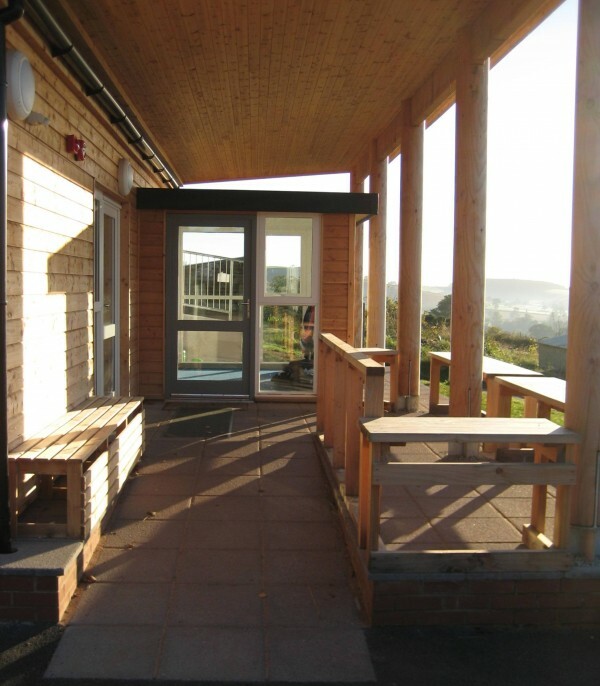 The porch roof offers a covered play area, while shading the classroom from unwanted solar gain. The vestibule is in effect a solar clothes dryer for raingear, and acts as buffer to the classroom entry. A passive ventilation chimney provides plenty of fresh air, warmed or cooled by passing the Hemcrete wall in the storage room.